We have the latest reports, features and social media posts right here. Salford coach Ian Watson believes Jackson Hastings should be in the England squad and thinks he can have as big an impact in Super League as Ben Barba. Toulouse coach Sylvain Houles insists his side will aim to gain promotion to Super League next season in the likelihood that they will not make the Million Pound Game. Wigan full-back Zak Hardaker has been charged with drink driving, the club has confirmed in a statement. St Helens pair Ben Barba and James Roby, plus Wigan’s John Bateman, are the three shortlisted players for the 2018 Steve Prescott Man of Steel award. Wigan coach Shaun Wane has paid tribute to John Bateman, following his Man of Steel nomination. Love Rugby League editor James Gordon has issued a letter of apology regarding the Fantasy Rugby League. It has been fixed by web developers and will run bigger and better in 2019. The latest column is on site now. Where do Widnes go from here? Papua New Guinea international Wellington Albert has signed a contract extension with relegated Widnes, keeping him at the club until the end of 2020. Toronto Wolfpack players will star in a new advert in partnership with Tourism Toronto on Sky Sports from this weekend. The latest ‘five things’ feature is now online. Final Super 8s showdowns, Qualifiers set for dramatic conclusion, NRL Grand Final. Widnes winger Owen Buckley has become the latest player to commit his future to the club. For the first time, 10 points in The Qualifiers might not be enough to avoid the Million Pound Game. Here are all the permutations of this weekend’s fixtures. The RFL has revealed a new Woman of Steel award will be presented for the first time at this year’s Steve Prescott Man of Steel awards evening. St Helens have added academy trio Callum Hazzard, Jack Welsby and Josh Simm to their first team squad for 2019. The latest ‘Final Hooter’ podcast is out now. Adrian Jackson and Dave Parkinson look back on the events of the 2018 season and talk through some of the big stories in rugby league. Hull have announced the signing of prop Levy Nzoungou from Salford on a two-year deal. Wigan can sign off the Super 8s by becoming the only team to win seven out of seven in its four-year history. Zak Hardaker charged with drink driving as Wigan’s new signing faces court date, report the Mirror. Zak Hardaker urged to quit alcohol by his agent in wake of drink driving charge, report the Mirror. Jackson Hastings set to stay at Salford if they stay in Super League, report The Sun. Clubs should be made to run reserve sides says Wigan ace Tom Davies, report Wigan Today. Academy duo offered Warrington professional deals, report Warrington Guardian. Paul Sculthorpe column: We can see Ben Barba’s hunger for silverware at Saints, report St Helens Star. Joel Moon to quit game after playing for Leeds tonight, report Yorkshire Evening Post. Castleford won’t be letting up before semi-final warns Jake Trueman, report Yorkshire Evening Post. Hastings is adored at Salford. Luke Burgess has hung up his boots – what an amazing career. A great gesture from Niall Evalds. 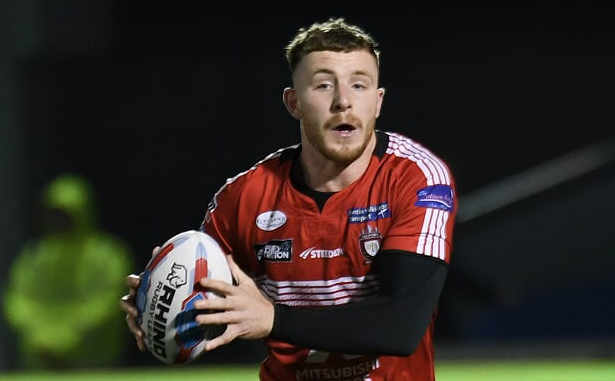 Jackson Hastings has hinted that he could stay at Salford in 2019. 😈 @SalfordDevils' Super League saviour? 5 Live Rugby League – 7.00pm, 5 Live Sports Extra, commentary from Dave Woods and John Kear.